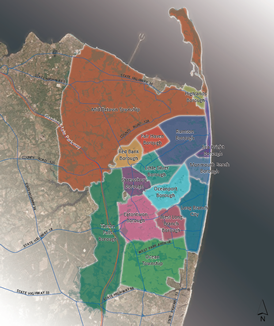 The Two Rivers Council of Mayors in Monmouth County is an informal body of government comprised of 15 communities surrounding two rivers. 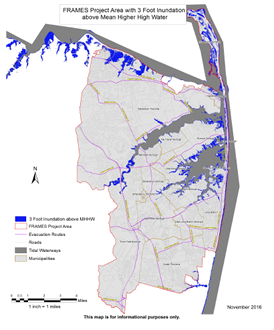 Located along the Navesink and Shrewsbury River Basin, these communities are vulnerable to severe weather and repetitive flooding events. We held public outreach events to hear about what places are special, important, critical (or just plain fun!) in your communities. While some locations might seem obviously important – schools, hospitals, police departments – we also looked for those less obvious, but equally important community hotspots – a favorite coffee shop, the community center that offers classes for senior or children, the 24-hour pharmacy, or even the best little league baseball field! Any place that is important to the community, residents, business, or visitors is a place that #Matters. Click on the link above to access the online mapping tool and view what the Two Rivers Region identified.